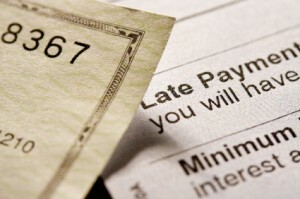 Will a Late Payment Hurt My Credit Rating? Q: If I am a little late with a credit card payment, do you automatically get late fees, a higher interest rate or will it hurt my credit rating? A: You should try your very best to be timely with all your credit card payments, because if you are late on a bill, you do risk late fees, potential interest rate hikes and possible damage to your credit score. All of these possible consequences, however, can only be done within the context of existing federal laws. For example, the Credit Card Accountability Responsibility and Disclosure Act, also known as the Credit CARD Reform Act, went into effect in 2010. Among other things, it prevents credit cad issuers from retroactively increasing your interest rate, unless you’ve been 60 days or more late paying your credit card bill. Also, the Card Act requires your credit card company to give you 45-days notice before an interest rate hike, up from 15 days notice. You can legally reject a rate hike and close the account. Under this scenario, you would have the right to pay off the debt over five years at your original interest rate. If you don’t close the account, and you accept a rate hike, it’s important to know that there are limits on how long banks can impose so-called “default rates” (i.e. higher interest rates) after you’ve been late paying a bill. Under the Card Act, default rates can only be charged for six months, provided you pay your credit card bill on time during that period. After six months, your credit card issuer must restore your rate to its previous level. When it comes to your credit rating, though, a late payment can haunt you a lot longer. 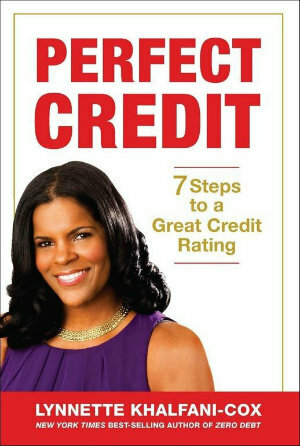 The Fair Credit Reporting Act allows negative information (such as late payments) to be included in your credit reports for up to seven years. The good news is that just being a “little” late on a credit card payment – say a few days or even a week – won’t impact your credit rating. Creditors can only legally report you to the credit bureaus if your payments are late by 30 days or more. There is one final caveat for those making late payments: If you have a special financing offer or a promotional rate (such as a 0% deal), being late with a payment, even only a few days late, may mean that you jeopardize that special low rate. So again, always do everything possible to pay all your credit card bills – and other bills too – on time.